The following photograph is of a Dingy Swallowtail (Papilio anactus) I snapped a few days ago at the Williamstown Botanic Gardens. 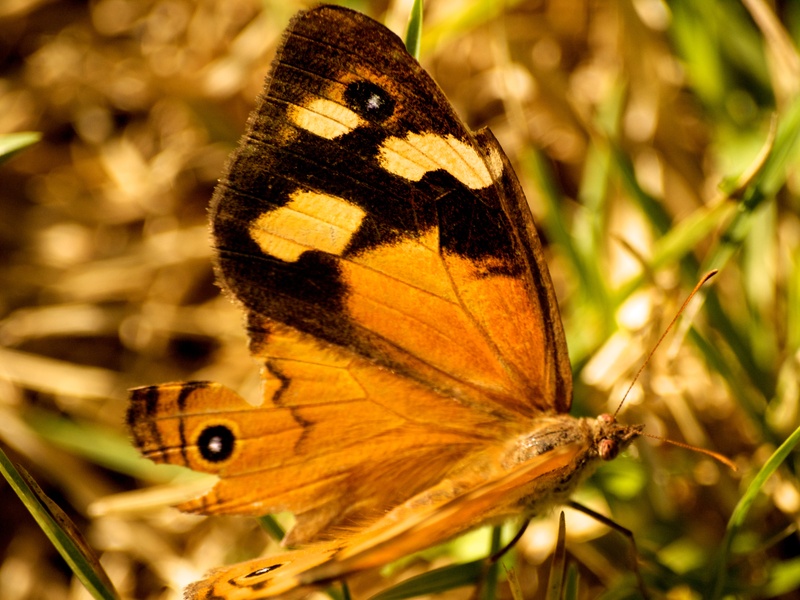 The Dingy Swallowtail is also known as the Dainty Swallowtail and the Small Citrus Butterfly. The male has a wing span of 67mm, while the female has a span of 72mm. The female has a larger abdominal size. Dingy Swallowtails are active from November through to April. It is native to Australia. The Welcome Swallows (Hirundo neoxena) are swooping around my house, Dragonflies are seen in the garden, and of course the first Butterfly is fluttering around the spring flowers. 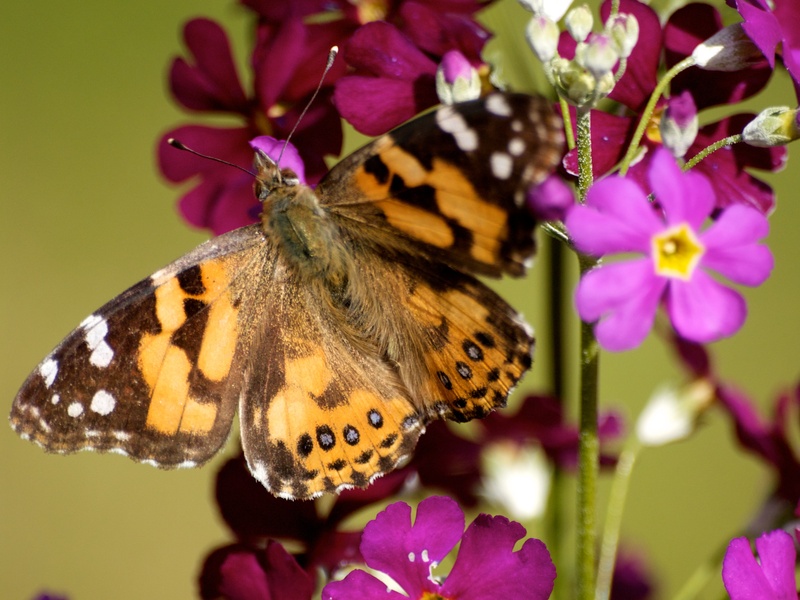 Australian Painted Ladies (Vanessa kershawi) are one of the first butterflies to emerge in spring. Their flight season ranges from August to May. My first sighting of an Australian Painted Lady this spring. This is one of my favourite quotes: There are a thousand photos within ten minutes of home. And this image is an example of that quote. I came across this beauty no more than half a dozen steps from my back door. 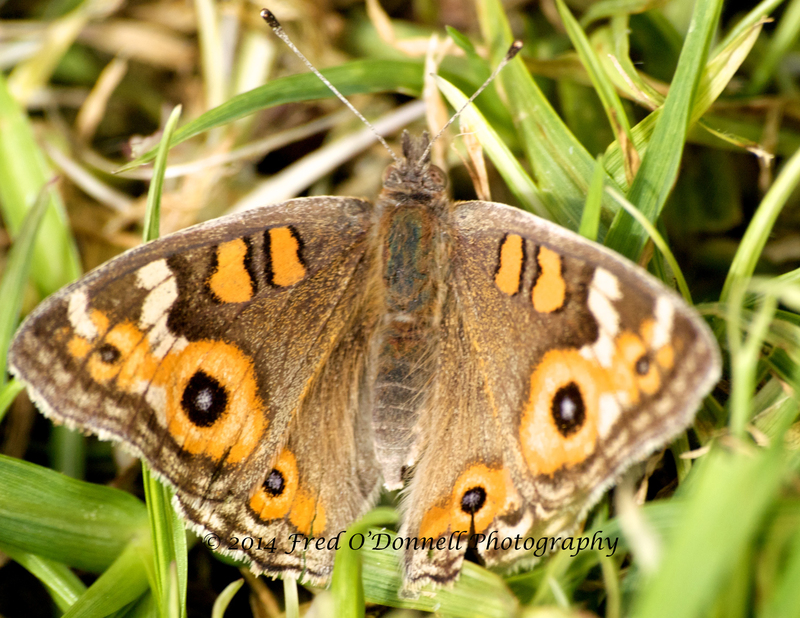 The photo below is of a Common Brown Butterfly (Heteronympha merope) which is native to Australia. By late summer, only females are alive, and, as it is now autumn, it appears this may be a female. 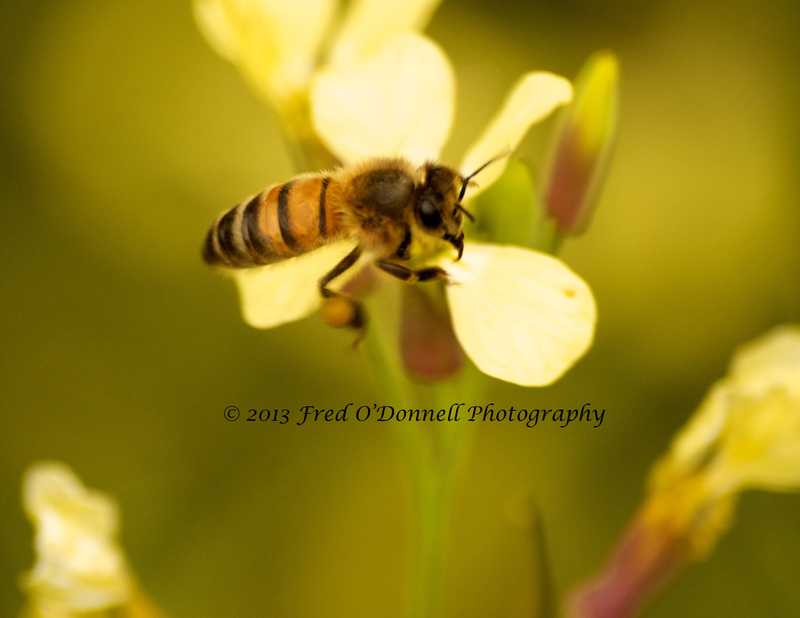 As summer draws to an end, I have begun to review the many images I have made over the past few months. The following butterfly photographs are my first attempts at capturing these colourful creatures. The above two photographs were taken on extremely windy days. These delicate creatures appeared to be clinging on for dear life. Needless to say, I had to delete some of the images. 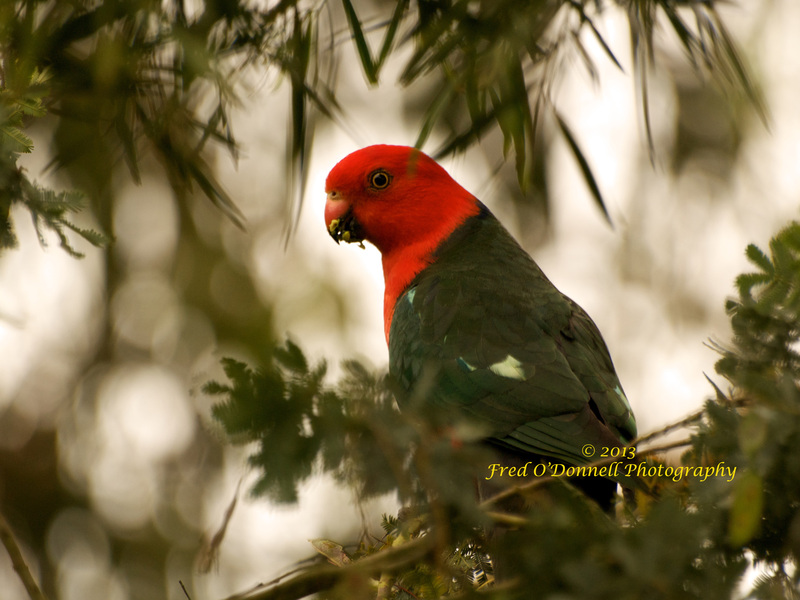 The first image is of an Australian King Parrot which was no further than ten metres from my back door. I saw him land in the Wattle Tree and start feasting on the seeds. Australian King Parrot feeding on the Wattle Tree seeds. 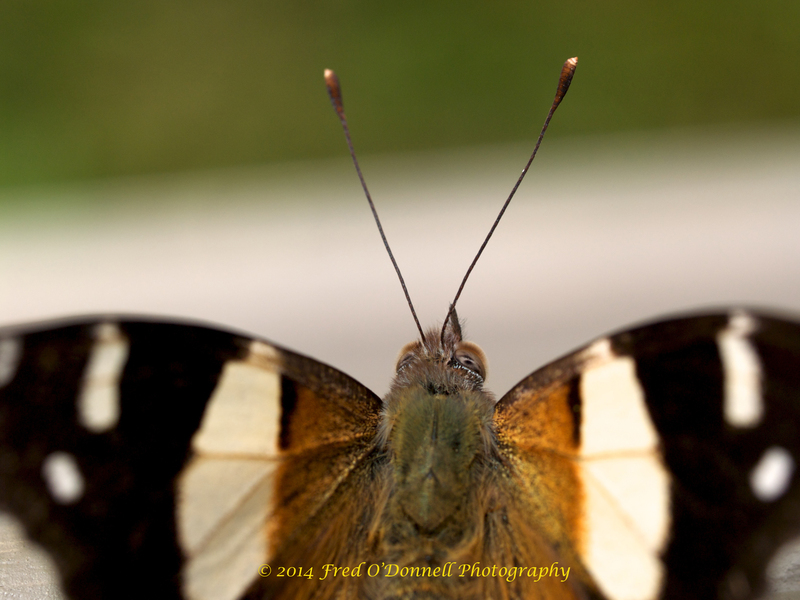 The next image is of a butterfly taking nectar and was no more than three metres from the back door. 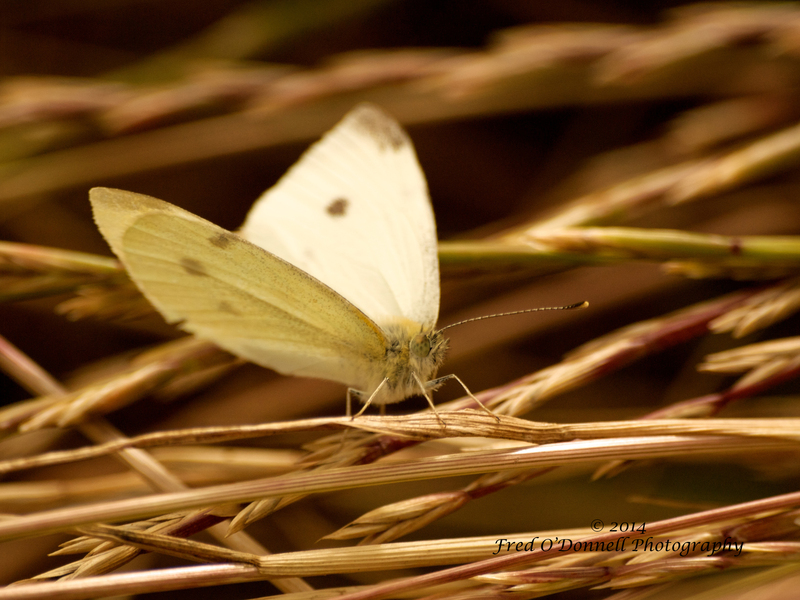 I’m not very good at identifying butterflies. 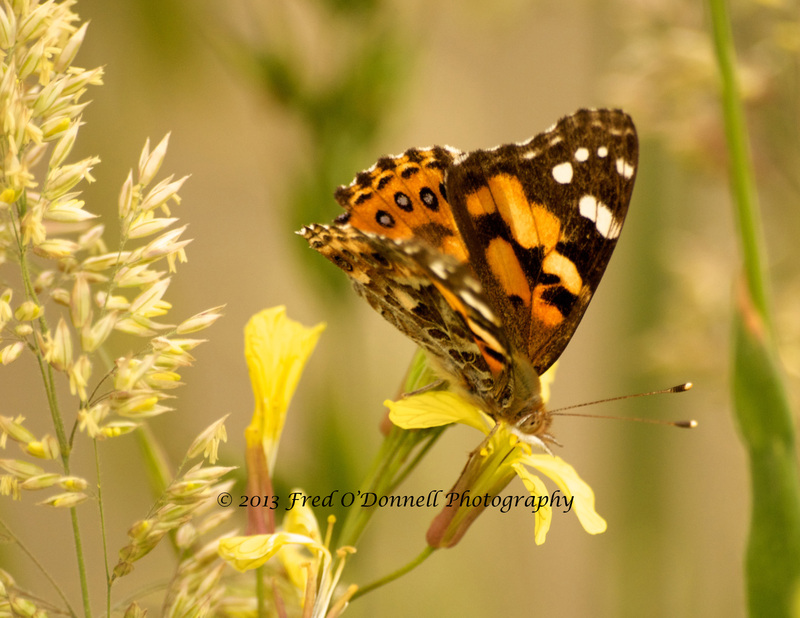 I believe this is an Australian Painted Lady – but feel free to correct me if I am wrong. 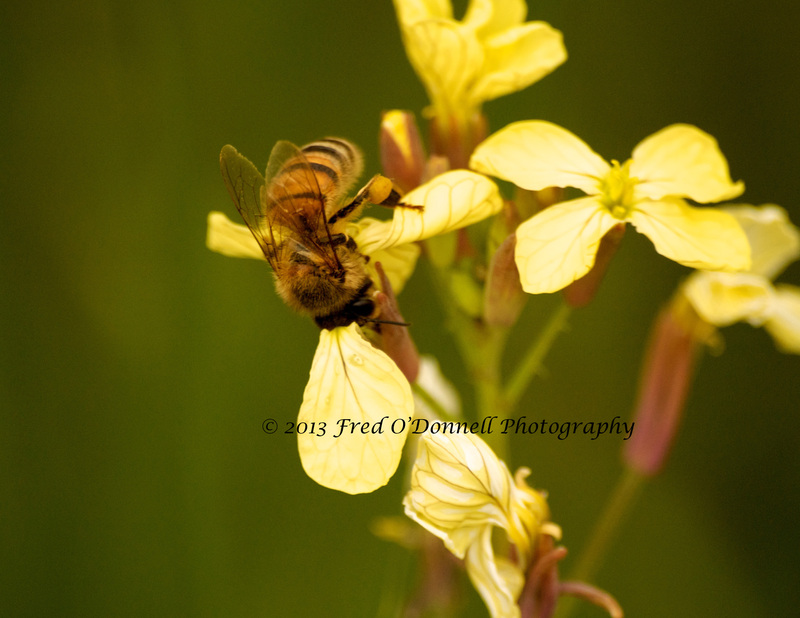 And of course the busy bees were buzzing near the butterfly. 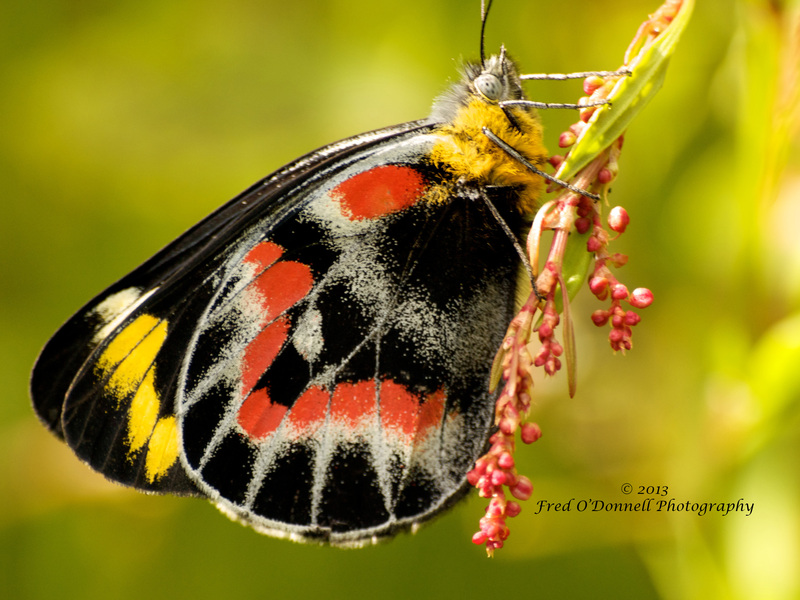 The Imperial Jezebel Delias harpalyce butterflies are one of the first to appear in spring and fly throughout the year. They are native to South-eastern Australia except Tasmania.